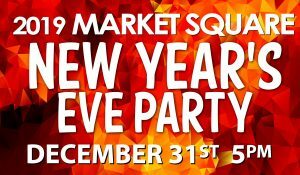 New Year’s Eve at Market Square – FREE Family Celebration! The largest party on the east coast happens right here at Market Square! Come enjoy the final hours of 2018 and ring in 2019! Market Square kicks into high gear with entertainment in the Atrium and on the Boardwalk! It was against the beige backdrop of late 80’s and early 90’s that these front men of Canada’s most popular and commercially successful alt/rock, power/pop bands started their careers. Their unique perspectives on being catapulted from the hard working underground indie scene to acclaim during one of Canada’s most exciting and transformative music eras is a story only they can tell. This is a unique opportunity to witness them singing their hit songs together like I’m An Adult Now / Hard to Laugh/She’s So Young (TPOH), Underwhelmed / Coax me/The Other Man (SLOAN), It Falls Apart / Someone Who’s Cool/Make You Mad (Odds) and The Old Apartment / Brian Wilson/Jane (Ex-BNL) The performance gives audiences the opportunity to see four of Canada’s most successful & witty musical front men sharing stories, songs and laughter. Yes, they are going to play on each other’s songs as a band and yes, they will rock. Jamie Comeau & The Crooked Teeth are on a quick rise from basement jam sessions to popular maritime stages. The Crooked Teeth were awarded first place after participating in the Harvest Jazz & Blues Stingray Music Rising Star Competition in 2017 and have since begun gaining serious momentum in the East Coast music scene. With more than 600 shows since its inception, this group from Moncton has trotted its music from the Atlantic to the Pacific to the Arctic Ocean on 7 tours in Europe, plus a foray into Louisiana and Australia.Offering alternative rock, heavily influenced by the music of the seventies, with percussive lyrics delivered by a larger-than-life singer – Les Hôtesses d’Hilaire hits the Boardwalk stage on December 31st to help us ring in 2019 with a bang! Butcher is an act that has been gaining traction in and around New Brunswick for it’s take on a lethargic blend of loud guitars and melancholy vocals. This is the kind of Math Class you won’t want to skip.